How to export .pst file data? MS Outlook PST file data is utmost important for accessing email files in the non-Exchange environment. Many a times we would like to export PST file data. Before starting about the various steps involved in exporting PST file data, it is better to know what exactly is exporting to PST file. When you want to back up only some part of your Outlook data, you can create a new backup PST file of the only data that you want to save or transfer to some other area. This is known as Exporting of PST file data. Suppose you have some important stuff in a folder and other not-so-important stuff is in another folder. Now you want to transfer that important folder; it will be irrelevant to transfer the whole bunch of folders. 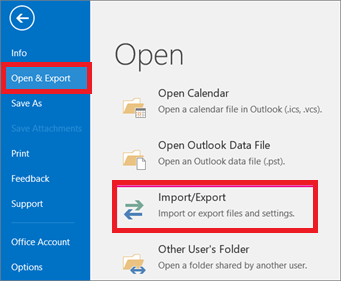 You can export only the important folder and skip folders like Sent Mail, or you can say which is not-so-important. On the File menu, click Import and Export. If the menu item is not available, drift your pointer over the chevrons at the bottom of the menu, and then click Import and Export. 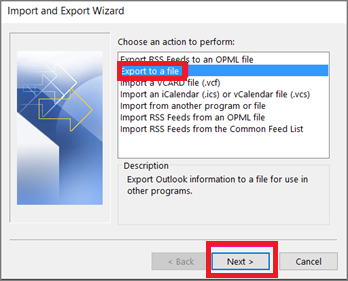 Click the folder that you want to export the .pst file to and then click Next. In the File Name box, type the name that you want to use for the new .pst file, and then click OK.
Kernel for Outlook PST Repair is an efficient tool which can export PST files to Gmail, Office 365, Exchange server, Domino server, and GroupWise. The tool exports PST files with complete email properties, folder hierarchy and structure. If somehow your PST file data gets corrupted, then also you can consider Kernel for Outlook PST Recovery software to repair PST file items and save to multiple file formats. It ensures speedy and accurate recovery of PST file data.